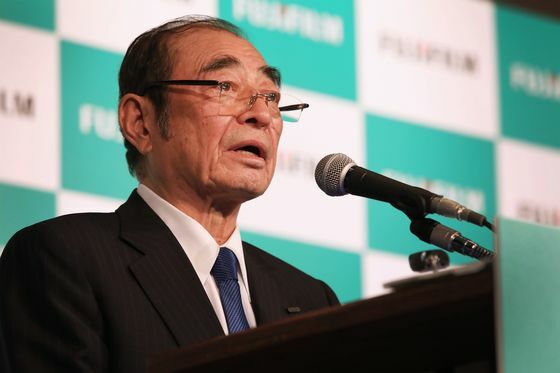 (Bloomberg) -- Fujifilm Holdings Corp.’s chief executive officer said the Japanese company may walk away from efforts to take over Xerox Corp., and won’t pay the $40 a share that activist investor Carl Icahn wants for the American printer maker. 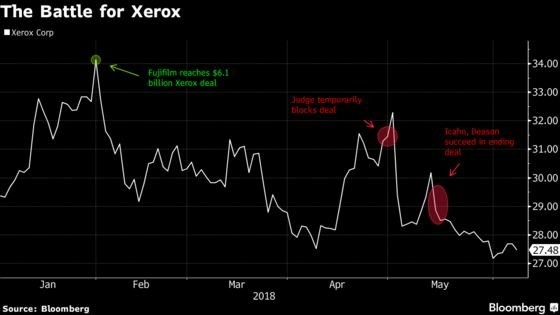 Fujifilm said it still intends to file a lawsuit seeking damages from Xerox after it terminated a $6.1 billion deal reached in January. The Japanese company is also willing to wait a half year for Xerox’s new management to come up with another offer, Komori said. Fujifilm may walk away if the companies cannot agree on conditions, he said. The comments from the chief executive are the latest in the back-and-forth battle for control of the company whose brand once dominated office products. Icahn and shareholder Darwin Deason, who argued the Fujifilm deal undervalued Xerox, succeeded in their bid to stymie the transaction and push out the American company’s CEO. Since then, the companies have been at odds over the next step. Deason has said that cutting a new deal with Fujifilm could be “the very best thing to do,” even as the investors have discussed a potential deal with several private equity firms and said they would consider bids of at least $40 a share. Fujifilm has said taking control of Xerox is the only option for the American company to have a future. The Japanese company has emphasized it is waiting for Xerox to come forth with a new offer. An offer of $40 would represent a 46 percent premium to Xerox’s closing price of $27.48 in New York on Thursday. Fujifilm shares dropped 0.4 percent in Tokyo trading Friday.